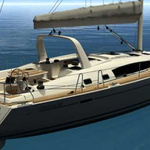 Calypso is a name of sailboat Oceanis 50 ,which has been built in 2006. Calypso is furnished with 7 beds. 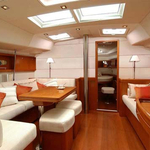 Berths on the sailboat are configured in 7 layout. 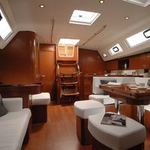 3 cabins are located inside the boat Calypso. 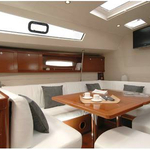 Guests can feel comfy on this sailing boat , because there are 2 heads with showers for their disposal. 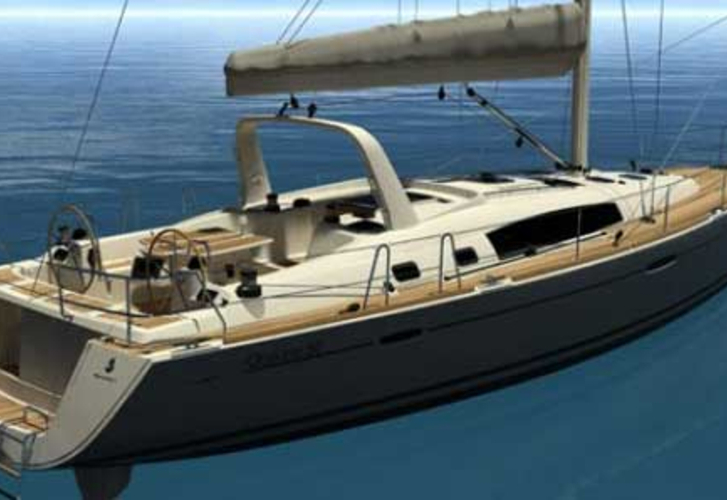 With 235.00 l l. in fuel tank you can sail really far and still be independent because of 565.00 l liters in water tank. 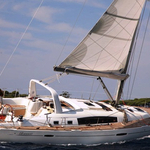 Calypso is supplied with motor Yanmar 90 Cv. Boat's dimensions are: lenght overall - 15.10 meters , width - 4.49 meters and 2.10 meters of depth. 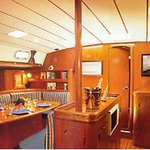 On the sailing boat you will find following equipment: Anchor electric windlass, Electric winch, Dinghy, Teak cockpit, Teak deck, Autopilot, Gps, Radar, Bow thruster, Wc pump electrical, Microwave, Outboard engine, TV. . Deposit is 6200.00 EUR.